The National Academy here on NYC’s Fifth Avenue, initiated their Sculpture in the Rotunda series in 2011 in which a large-scale site-specific sculpture/installation is placed in the building’s beaux-arts Rotunda. Currently, and through September of this year, the installation Nudes, Housed Within Their Own Clothes and Aware of Their Individual Thirst, Descending a Staircase is by New York-based artist Phoebe Washburn constructed a 15ft high and 11 feet in diameter cylindrical tower perforated with colorful “wormholes” through which visitors can peer in as they walk up and down the spiral staircase. 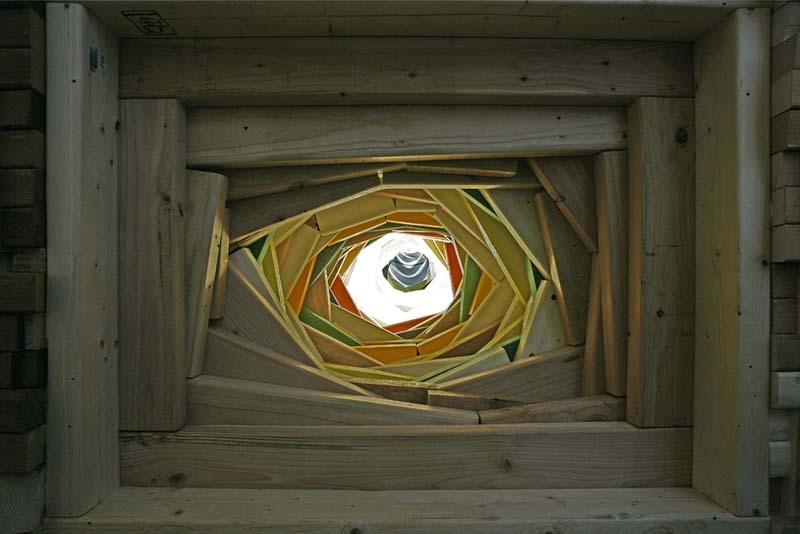 Washburn’s artwork is often made with scrap wood and repurposed materials that she finds around NYC and this installation is no exception speaking issues of recycling, environmentalism, consumable products and the waste created by the current consumer-driven society. 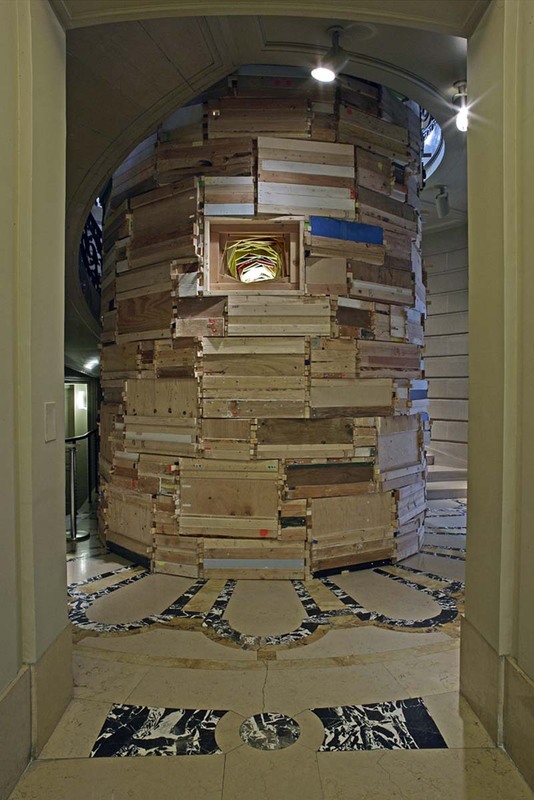 You can see other installations by Phoebe Washburn here, or visit Nudes, Housed Within Their Own Clothes and Aware of Their Individual Thirst, Descending a Staircase at the National Gallery through September 2013. This entry was posted in Architecture, Art, Event, Industrial Design, Stuff We Like. Bookmark the permalink.